Lexus LC Interior, Sat Nav, Dashboard | What Car? 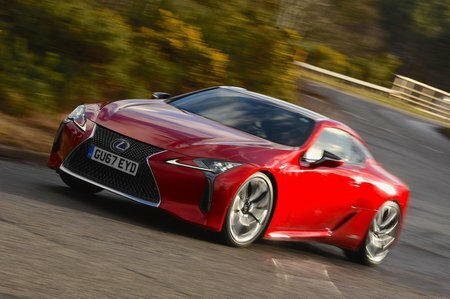 Slide into the LC and you are left in no doubt that it is a focused GT. 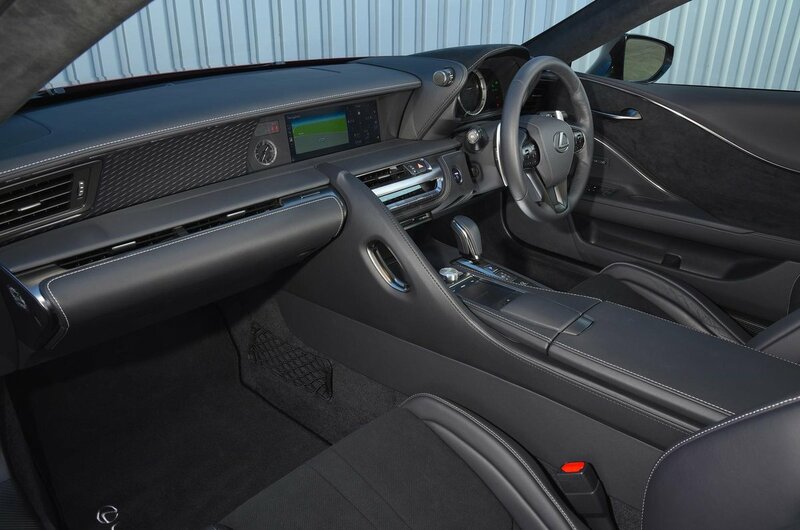 The seats are set low, the instruments are designed to envelop the driver as if in a racing car cockpit and the pedals are nicely spaced and in line with your body. But, above all else, it still feels luxurious. 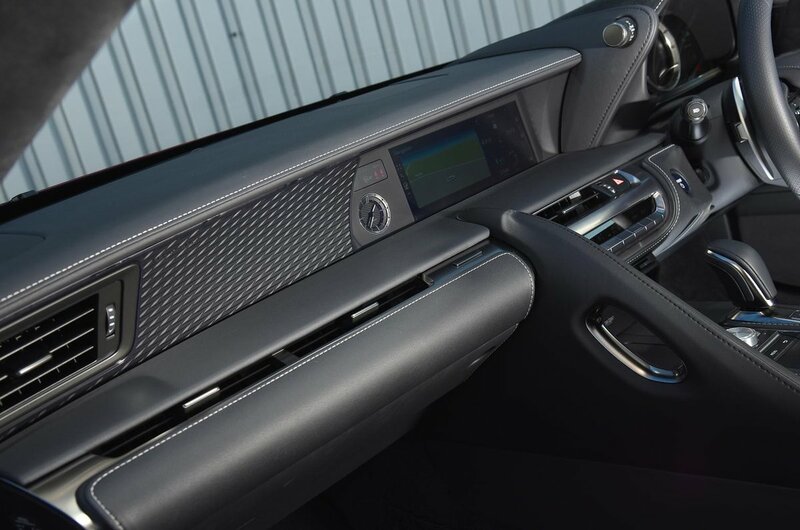 From the sculpted doors with intricate stitching through to the high-end analogue clock in the middle of the dash, this is a car that oozes quality and craftsmanship. Like the exterior, the highly stylised look won’t be to everyone’s taste, but there’s no question that it is executed to an extremely high standard. However, there are some quibbles, in particular the number of buttons on and around the steering wheel. While they’re all intuitively placed, there is something incongruous about a cabin that puts the driver’s focus on enjoying the road but which requires them to look away from it to interact with the car’s functions. The infotainment screen is big, stylish and responds to requests promptly. However, part of its operation is via a touchpad system that isn’t nearly as easy to use as systems with either a proper touchscreen or a rotary controller. Over bumpy roads in particular, it can be very hard to select the icon you want. In fact, the infotainment system is one of the most complicated and frustrating on sale today. This is a huge letdown for the interior.